JAKARTA, Dec. 26 (Xinhua) -- Tourists are advised to put option on other than coastal areas visit in some parts of Indonesia or avoid to stay less than one kilometer from coast, the country's tourism ministry said here on Wednesday. The statement came following the issuance of no-go zone of 0.5 to one km from the coast line by the country's meteorology and geophysics agency and the volcanology agency in the wake of Saturday's tsunami triggered by the eruption of the Anak Krakatau volcano that killed over 430 people along the coastal areas of Sunda Strait. Most of the casualties are holiday makers spending time along the coast in several tourist resorts, according to the national disaster management and mitigation agency. "We urge tourists not to stay in the radius of less than or at 1 kilometer from coast. Or, it is transiently better to visit other than coastal destinations," Guntur Sakti, chairman of crisis center team of the tourism ministry said in a statement. During their holiday, the official said, tourists should update weather information through social media or the weather agency. The official confirmed that tidal waves with height of 1.25 to 2.5 meters potentially occur in some water from western to eastern parts of Indonesia which is home to over 17,500 islands. Over one million foreign holiday makers visit Indonesia every month, with nearly 600,000 of whom spent their journey in Bali resort island, the center of Indonesia's tourism industry, according to data from the national statistics bureau. 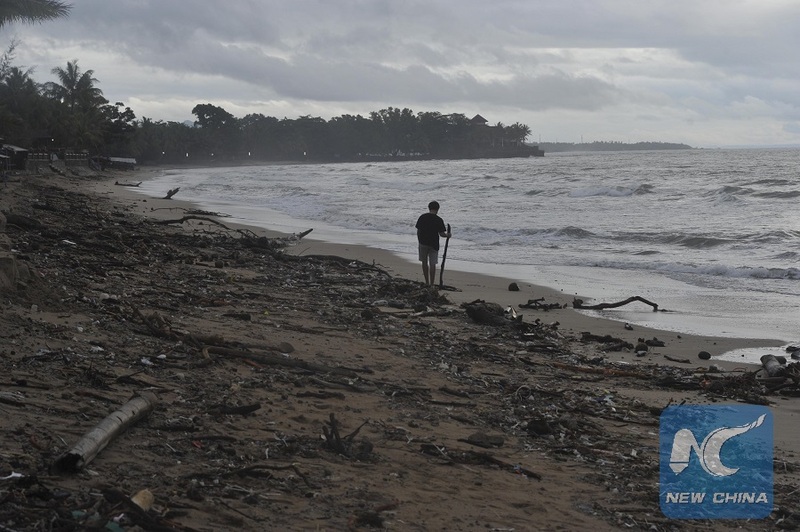 The Saturday's tsunami devastated a 312.75 km long of coastal areas along the Sunda Strait, including the province of Banten and Lampung, the disaster agency said. In addition, over 21,000 people were forced to flee homes for fear of a second tsunami after the warning from government agencies.